The final season. And the end of Evil Dead as we know it. The blow would be less severe if the cancellation hadn’t happened a mere 9 days before the Season 3 finale, prompting worries that the show would end on a cliffhanger that may never get resolved. After all, where can Evil Dead go from here? 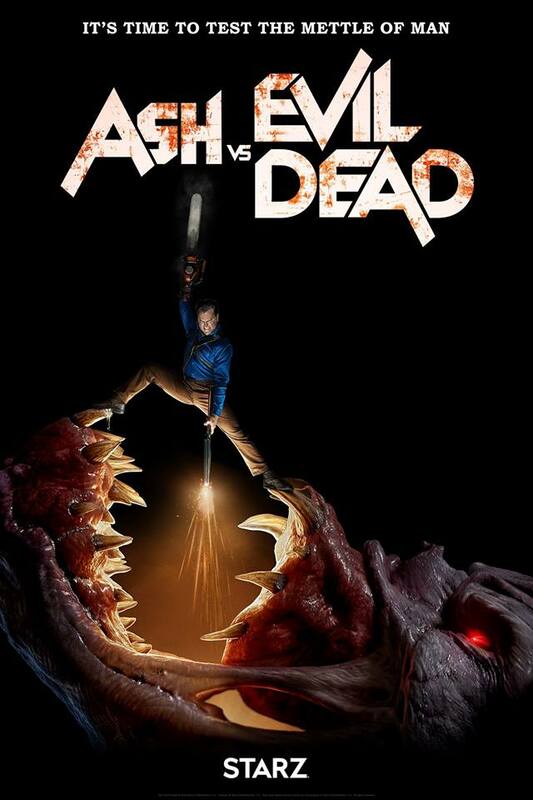 They were never able to get a fourth movie off the ground, the video game franchise was nothing more than “the next best thing”, and the 2013 remake was kind of one-and-done, so TV was kind of Evil Dead’s last-ditch effort. But fans everywhere knew it had to end sometime. So how does one of the greatest and longest-running horror franchises go out? Not the way you expected, that’s for sure. War. That’s what was promised at the end of Season 7. Although it took its sweet time to get there (no thanks to the narrative side-tracker that is the mid-season finale), it was enough to get people interested in what was to come in the seasons ahead. 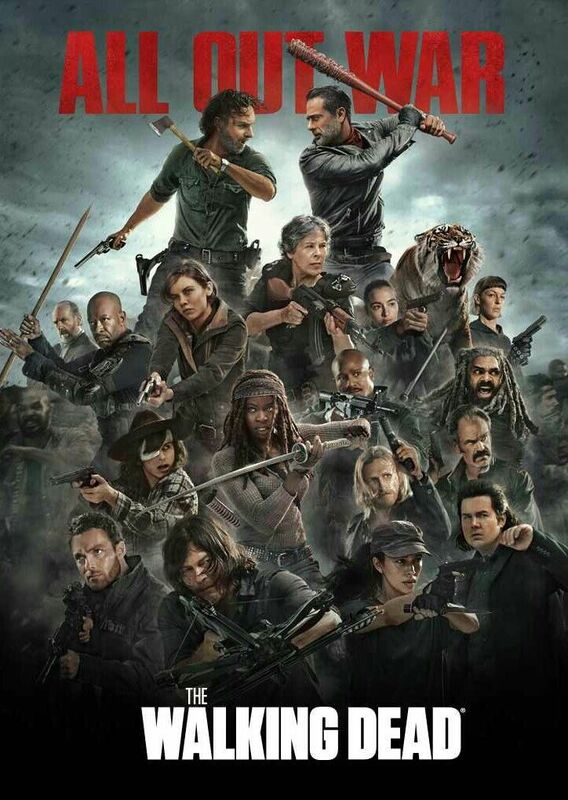 The Walking Dead has been plodding along in recent years, with its most memorable moments happening during season premieres and finales, with everything in between just acting as filler. So after a painfully predictable but still somewhat enjoyable Season 7, fans deserved something a little more imaginative and a lot more entertaining. Did they get it? Wandering aimlessly into an amateur acting course was the self-referential setup for Shane Black’s brilliant neo-noir Kiss Kiss, Bang Bang. A hitman/gangster exorcising their crime-ridden ennui with therapy or another incongrous outlet was the setup for Analyze This, The Sopranos, Panic and several other properties from the early 2000’s. 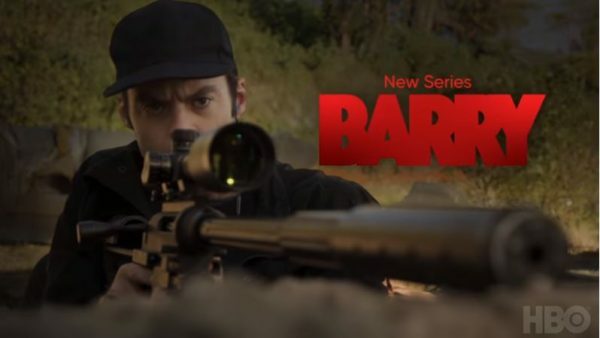 By my count, Barry is already a decade too late for its concept. Pyewacket is a great little Canadian indie horror gem about a teenage girl whose father has recently died and as a consequence of arguing with her overprotective mother, decides to summon a demon with even more disastrous consequences. Canadian Nicole Muñoz is excellent as the lead Leah, who is really into black metal and the occult and totally badass (I loved her immediately). Laurie Holden (The Mist, Andrea in The Walking Dead) is also great as her mother Mrs Reyes, who is coming to terms with a few demons of her own and runs the challenge of rebuilding her broken life and raising a teenage daughter. Ever been to your friend’s house and they’ve bought a new video game? They hype it up, put in the disc/cartridge and you two anxiously watch the spinning wheel of the loading screen. Then, before you can read the strategy guide, your friend apprehends the controller and begins their vicarious interactive derring-do solo. Remember how deflated you felt to be the passenger on the madcap ride? Basically, that’s how Hollywood hijacks and commandeers the viewing experience in regards to console game adaptations. Not to commit the same sin of shanghaiing the op-ed article but be my NPC on this examination of a few of the best and worst specimens. Alex Garland (Ex Machina) makes a fantastic return as director/writer with Annihilation, which is based on Jeff VanderMeer’s novel. It’s about five female scientists who enter a seemingly alien, jungle-like quarantine zone searching for the lost expedition. Only one of its members returned, and he happens to be biologist Lena’s (Natalie Portman) husband Kane (Oscar Isaac – good to see the Star Wars cast together and clever homage to Kane in Alien), or so it seems. After Kane lands in the hospital, Lena teams up with the seemingly icy Dr Ventress (played excellently by Jennifer Jason Leigh), who leads a team into the Shimmer (as the quarantine zone is called) to find out what happened. The film juxtaposes the current chronological timeline with flashbacks and flashforwards, and it works quite effectively, questioning our sense of identity and self-destructive impulses. Also interesting is the relationship between Lena and Kane as well as the nature of the extramarital affair that further drives them apart (Daniel has a shockingly low moral compass too ftw). For Star Trek, there’s been nothing but prequels since 2002, with Nemesis still trekking at the tail-end of the original timeline. Over at the beginning of said timeline, Enterprise was famously cancelled before it had the chance to make its mark, or at least bridge any gaps to The Original Series. 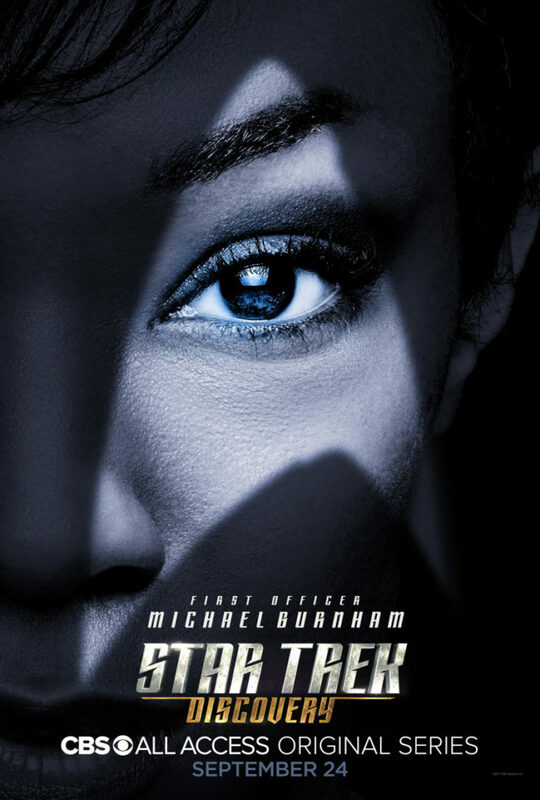 And this is where Discovery hopes to succeed, taking place 10 years before the time of Captain Kirk and dealing with the much-talked-about but never-before-seen start of the Federation-Klingon War. 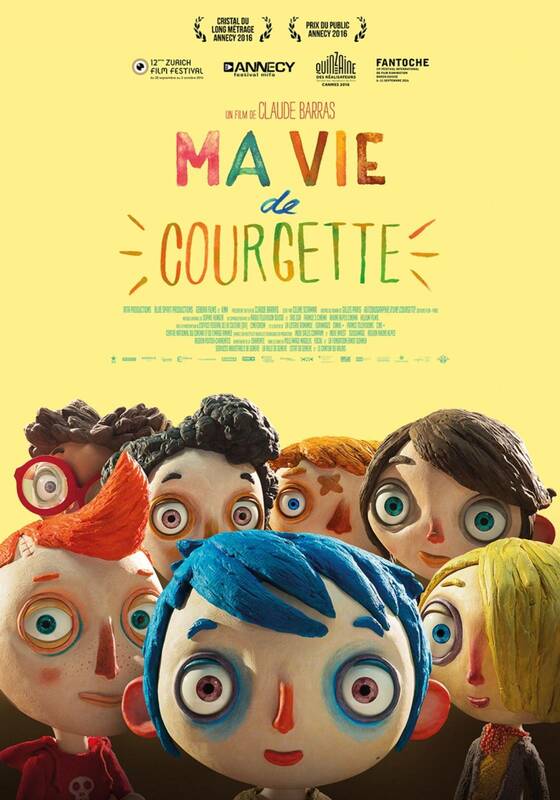 Ma vie de Courgette (a courgette is a zucchini for North American folks) is a delightful and heartwarming little stop motion film, and probably my favourite animated film since Finding Nemo. Courgette is the main character, a sensitive and intelligent little boy who is abused by his alcoholic mother and likes to make kites. After his mother dies, a benevolent police officer/social worker Raymond, who genuinely understands and cares about Courgette’s well-being, sends him to a nearby orphanage/group home. Is is there that he meets a medley of interesting children from other abused backgrounds, including Simon, who initially bullies Courgette before becoming his dear friend. In the format of his friend Jerry Seinfeld’s Comedians in Car Getting Coffee, ex-talk show impresario David Letterman is chronicling his post-fame exploits. With the guerilla-style camera tilting up to his desk, Letterman fields a phone call with President Barack Obama to be the inaugural guest on his latest Netflix interview venture. When David politely exchanges goodbyes and hangs up the phone, we see the haggard look of tentative disappointment on his beard-encrusted mug as he immediately jumps to the conclusion that Obama is too preoccupied for his formal, no-frills chat.